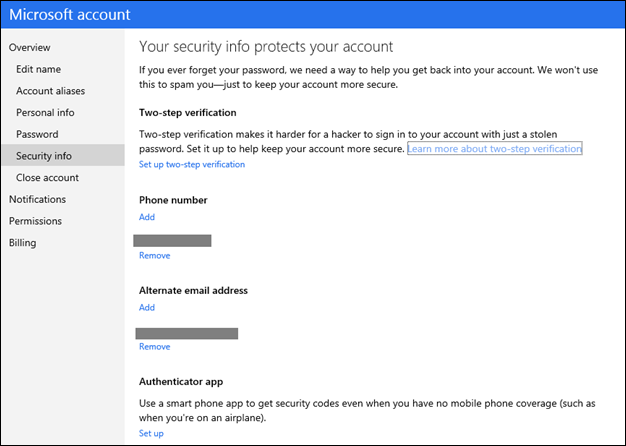 Microsoft today announced that it has launched two-step authentication for its Microsoft accounts. 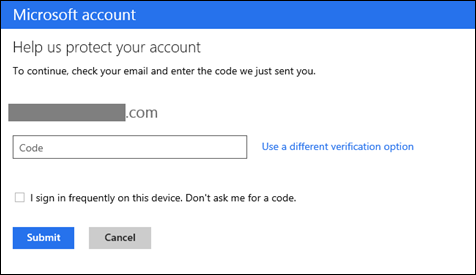 This optional feature, which will roll out to all Microsoft accounts over the next few days, works pretty much exactly like the two-factor authentication schemes you are probably already familiar with. Besides your usual password, you will also need a second piece of information – a short code, for example – to log in to your accounts. To get these codes to you, Microsoft also today launched its own Authenticator app for Windows Phone, but the company also notes that “there are excellent authenticator apps that already exist for those platforms and are compatible with Microsoft account two-step verification.” The company will help you set this up once you enable the new authentication mechanism for your Microsoft account. In addition, it seems, you will also be able to receive codes by SMS and email. Just like Google, Microsoft will also support app-specific passwords for devices and applications where two-step authentication isn’t practical. Users will also be able to designate some devices as “trusted devices,” so they won’t have to use two-step authentication every time they log in from their phone, for example.